Please check back on thisOn July 15, 2016, Congress passed legislation to extend the FAA’s funding. 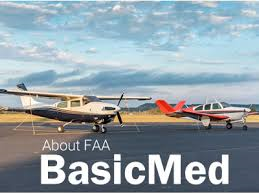 This legislation, FAA Extension, Safety, Security Act of 2016 (FESSA) includes relief from holding an FAA medical certificate for certain pilots. This relief is called BasicMed. We’d love to hear from you. Please use one of the various methods below and we’ll look forward to connecting with you soon! Right next to Sumner Regional Medical Center across from Perkins Drugstore. Parking for your big rig next door in the Food Lion parking lot. Dr. Tigges is one of the first in TN to become a certified DOT Medical Examiner of the United States Federal Government. The National Registry of Certified Medical Examiners requires all medical examiners performing physical examinations for interstate commercial motor vehicle drivers to be trained and certified in FMCSA physical qualification standards.